There is currently no U.S. federal law mandating paid family or medical leave. The U.S. is the only Organisation for Economic Co-operation and Development (OECD) member that doesn't guarantee some form of PFML. The U.S. is one of only eight countries in the world without a national policy mandating paid maternity leave – along with Suriname, Papua New Guinea, Micronesia, Nauru, Palau, Tonga, and the Marshall Islands. The U.S. Family and Medical Leave Act requires covered employers to provide eligible employees with 12 weeks of job-protected leave for qualified reasons. The law does not mandate or provide for pay during the period of leave. For more information, refer to the U.S. Department of Labor's materials on FMLA. 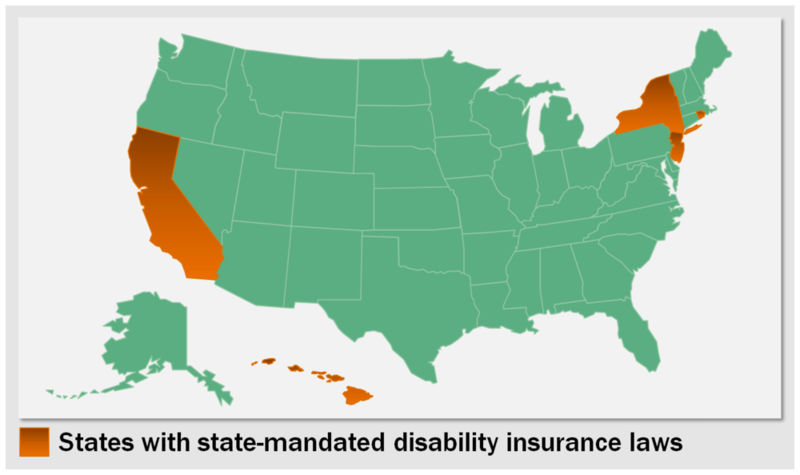 Five states in the U.S. have state-mandated disability insurance laws, through which birth mothers and employees injured outside of work may receive paid leave. These states are: Hawaii, California, New Jersey, Rhode Island, and New York. Other states are considering similar policies. Currently four states in the U.S. have more inclusive paid family leave laws, funded through payroll deductions. Each law is structured differently and the length of paid leave and level of pay provided vary by state. Washington D.C. also passed a PFML law in 2016. It provides up to 90% of wages (max of $1000/week) to private-sector workers. It provides up to 8 weeks for parental leave, 6 weeks for caregiving leave, and 2 weeks for medical leave. Next Page: So What Are Employers Doing?